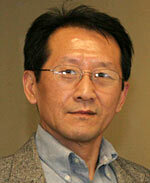 Dr. Wang is currently the Editor-in-Chief of Journal of Chinese Human Resource Management. He also served as Assistant Editor and Quantitative Method Editor for Human Resource Development Quarterly and on Editorial Boards of six other scholarly journals. From 2008—2011, he was on the Board of Directors, Academy of Human Resource Development. He is not only a well-published scholar, but also a widely known HRMD practitioner. His practices in HRMD have been reported by Workforce Management magazine, CIO magazine, and the National Public Radio (NPR). As a sought-after speaker, Dr. Wang makes frequent speeches at national and international arena including China, India, Korea, Russia, United Kingdom, and the U.S.
Dr. Wang has extensive experience in corporate HRMD practices. He has worked as an executive for General Electric Co., Motorola Inc., and Pennsylvania Power & Light Co., and as an external consultant for Aramark, CIGNA, IBM, HP, and other Fortune 500 companies. Dr. Wang’s educational background includes a Ph.D. in Human Resource Development and an MA in Management, both from The Pennsylvania State University.